A story long told ago of a group of men assembled to carry on the torch of a music that is so inspiring and infectious to the world that it has become almost that of a myth to many. The story of the band GHOST TOWN STEPPAS is that of legend and that of fairytales and myths alike. This tale starts with 6 men gathering from other well known Reggae and Ska bands from across the world all with one common goal. To bring a new force to the 2 Tone universe. Following in the footsteps of 2 Tone royalty such as The Beat, The Specials and The Selector and the record label that brought their music to the world. It is their mission to spread the sounds of 2 Tone to the world again and with a passion unequaled. With their debut album !FROM DA FRONTLINES! being unleashed on the world as its beacon for a New Wave of change and a shift in power. GHOST TOWN STEPPAS has set for the motions of a revolution of the future of 2 Tone and Ska that shows gratitude and honors the Gods that came before them. Songs like 'Steppas Tonight' and 'She Light Up Mi Fire' lay out their general love for the streets of the U.K. that spawned a movement that will never die yet tunes such as 'Glow' and 'The Wanderer' reach for the future of the genre of itself. GHOST TOWN STEPPAS are here to evolve the music and spread peace, love and joy. GTS member CRABZ says "We're only here to follow in the footsteps of the masters of 2 Tone like Dave Wakeling, Ranking Roger, Lynval Golding, Neville Staples and the entire Kingdom that they built, and hopefully do them justice with our music." 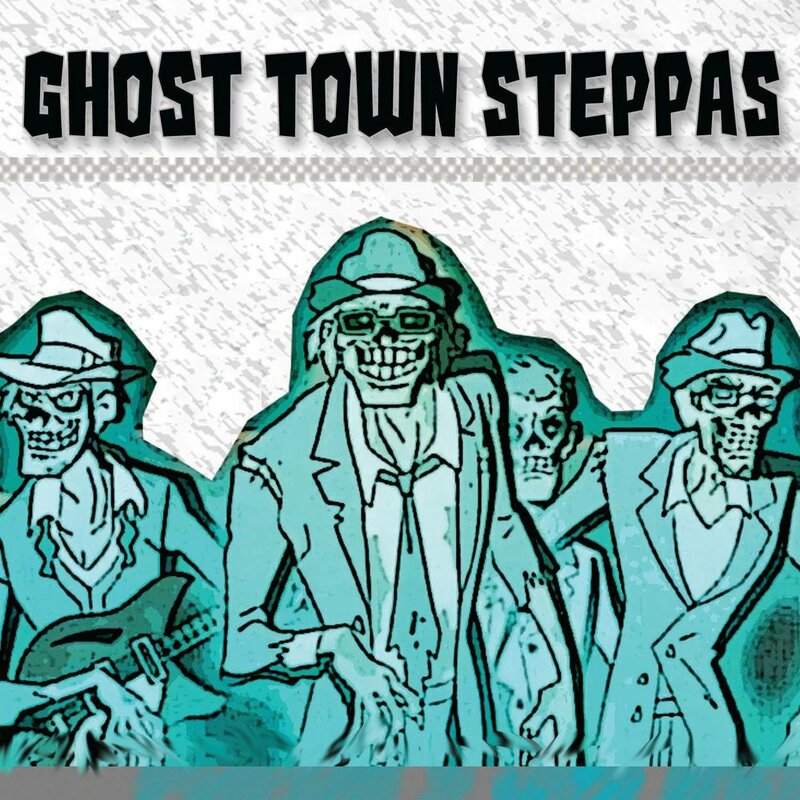 GHOST TOWN STEPPAS are here to Skank the world with 2 TONE! !